Fanned by the fairy tales of the Brothers Grimm, the longing for pure wilderness and the cultivation of rural life, the Nordic National Romanticism arises. 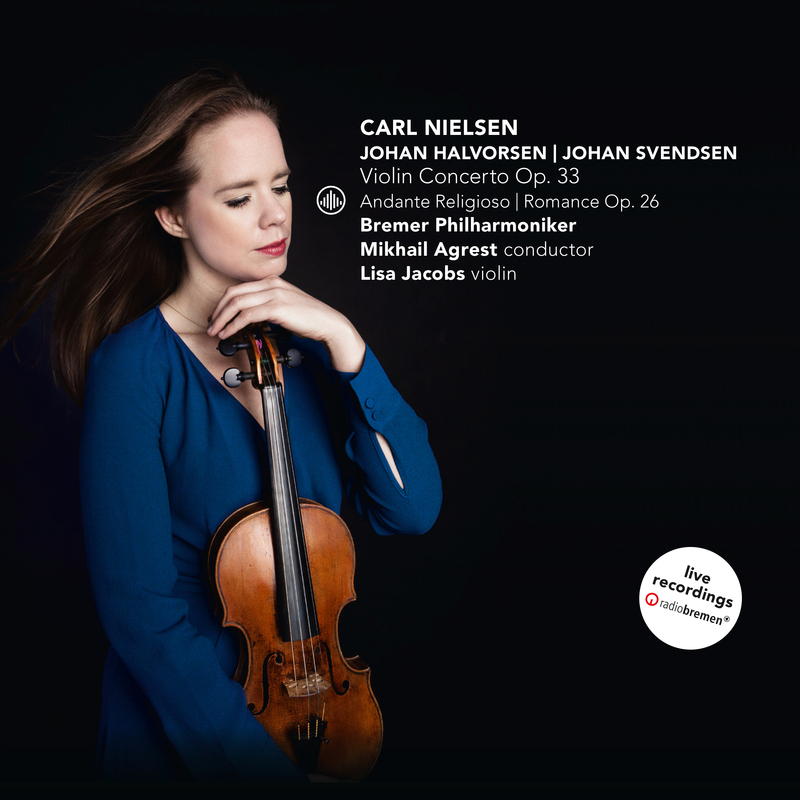 All three composers on this disc are descendants of this Nordic Romanticism. Although they did not all have the same nationality, their lives are intertwined. 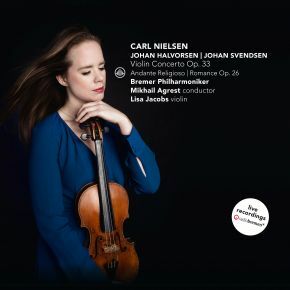 In their compositions, Svendsen and Halvorsen remain in form and harmony close to the music of their good friend Edvard Grieg and the distinctive Nordic use of melody; Carl Nielsen, however, goes on a voyage of discovery towards a new idiom with a strong desire for renewal on the one hand and a great need for the revival of the pure archaic on the other. His violin concerto clearly shows this conflict. In a neo-classical 4-part form, reminiscent of the set-up of the Baroque concerto grosso, with seemingly simple classical-like themes and references to both Bach and Mozart, he takes the listeners on an incredible adventure throughout Nordic landscapes of pure wilderness and takes all sorts of harmonic and rhythmic twists and turns.